The Average Daily Range is an indicator for showing support and resistance zones based on the average daily price range of currency. It is necessary to look for the buy signal when the price goes over the resistance level, and for the sell signal when the price goes over the support level. The indicator shows the static and dynamic levels. 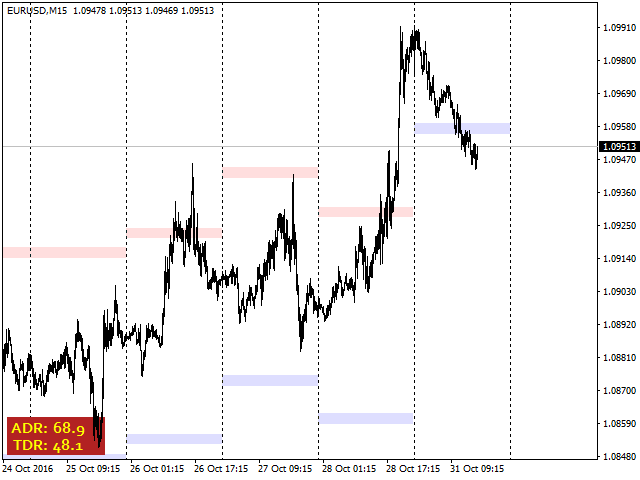 Static levels are calculated based on the opening price of the day. 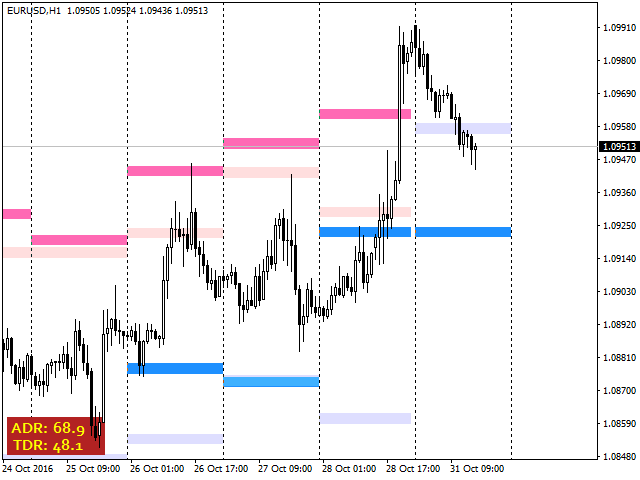 Dynamic levels are calculated based on the daily Highs and Lows.